Introducing the new HyperStar C9.25 Lens. Now 9.25" SCT owners can join the HyperStar revolution. Ultra-fast, wide-field CCD imaging has never been easier. HyperStar quickly converts your SCT into a fast imaging system. 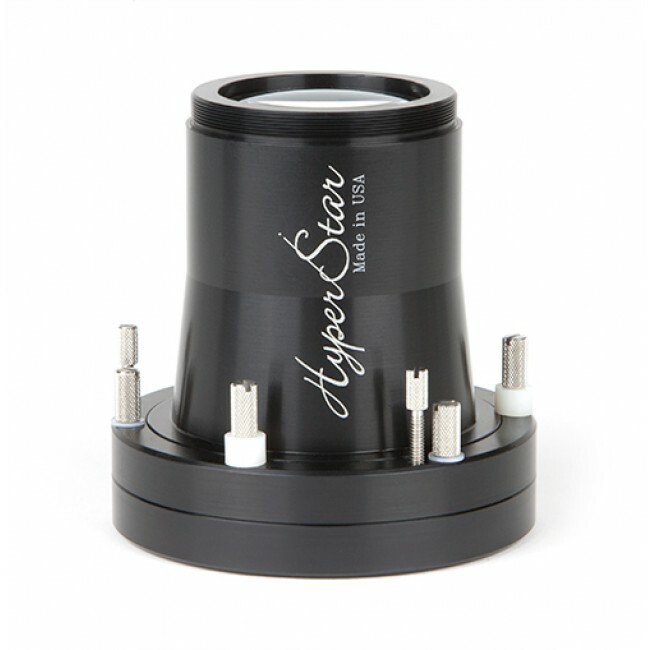 The HyperStar lens easily replaces the secondary mirror in the telescope, allowing a camera to be placed in front of the telescope. Switching between HyperStar and standard configurations is quick and simple--no tools required.